The organization name shall be the American Academy of Advertising. The Academy is established as a professional organization for teachers in advertising and for industry professionals who wish to contribute to the development of advertising education. To provide an organization through which all persons interested in advertising education may coordinate their efforts to advance academic and professional advertising. To assume leadership, especially in academic circles, for an objective and realistic appraisal of the functions and responsibilities of advertising in modern society. To strive for increased recognition by both educators and industry professionals of the value of and need for professional education programs for advertising. To stimulate research in advertising, especially research about professional educational programs for advertising. To develop closer liaison with academic disciplines with which advertising is concerned, not only in such primary fields as business administration, communications, journalism, and public relations, but also in the behavioral sciences, humanities, and other liberal arts areas. To encourage closer cooperation among teachers of advertising for the development and better use of teaching materials and methods, for the expansion of recruiting programs, and for sponsorship of scholarships and internships, in order to attract and to develop talent for the field of advertising. To develop closer liaison with the many organizations associated with the advertising industry. Provide an exchange of information about teaching and teaching materials of benefit to teachers and their students. Provide a forum for the presentation and discussion of problems in the field of advertising as may seem desirable and in keeping with the general purposes of the Academy. Encourage the publication of worthy papers of an original nature dealing with the teaching of advertising and such related subjects as may seem desirable and in keeping with the general purpose of the Academy. Cooperation with other organizations and societies in activities that promote the objectives of the Academy. Perform such activities as are necessary in order that the Academy may serve as the recognized representative of advertising education in academic circles. Contribute to the improvement of the teaching of advertising in American universities and abroad. Undertake such other activities as may be compatible with the objectives of the Academy. The Academy shall have three categories of membership: Regular, Student, and Emeritus. The candidate shall be a teacher of advertising or a related subject (marketing, public relations, etc.) in a college, university or other academic institution and shall teach at least one such course during the school year. A Regular member shall have full voting privileges and shall be eligible for all Academy offices. The student shall be currently enrolled in a college or university. The student shall be interested in advertising. A Student member may not hold office nor have voting privilege, but he or she shall be eligible to participate in all other Academy activities and receive Academy publications. Retirement from regular gainful employment as a teacher or industry professional upon reaching retirement age or because of poor health. Continuous, fully-paid membership in the Academy for the five years immediately preceding retirement. An Emeritus member shall have all the privileges of Regular membership. Emeritus membership dues will be set by the Executive Committee. Application for membership in the Academy shall be filed with the Executive Director. Membership in the Academy shall be in accordance with procedures to be established from time to time by the Membership Committee to carry out the intent expressed in the purpose and membership qualification, Articles of the Constitution, and in agreement with such stipulations as may appear in the Bylaws of the Academy. The Officers of the Academy shall be the Past President, the President, the President-Elect, the Vice President, the Secretary, and the Treasurer. These six officers shall serve as the Executive Committee of the Academy. The President is Chairperson of the Executive Committee. The Past President shall be chairperson of the Nominating Committee. The President shall preside at all meetings of the Academy, but may delegate this responsibility when necessary. The President shall have whatever authority may be required between annual meetings of the Academy, but may not encroach on any specific grants of authority that may be made hereinafter by this Constitution to particular officers or committees. The President shall normally serve as Chairperson of the Program Committee. The President shall present a report of the status and progress of the Academy at the annual meeting. The President-Elect shall act for the President in his or her absence or disability, and shall perform such duties as may be assigned by the President or by this Constitution hereinafter. The President-Elect shall serve as coordinator of the special topics for the conference. The Vice President shall act for the President-Elect in his or her absence or disability and shall perform such duties as may be assigned by the President. The Vice President shall serve as Coordinator of the conference papers and editor of the Conference Proceedings, unless he or she declines. The Secretary shall keep the minutes of all business meetings of the Academy and carry out all other activities assigned by the President. The Treasurer shall be responsible for the oversight of the funds of the Academy. The Treasurer shall present a financial report of the Academy's financial affairs to the Executive Committee and to the membership at the Academy's annual meeting, and shall perform such other duties as may pertain to this office. An Executive Director shall be selected by the Executive Committee to assist it in its work. The Executive Director shall meet with the Executive Committee, but shall not have a vote. The Executive Director shall, on instructions from the Executive Committee, be responsible for all Member and Financial & Business Services of the Academy, including such duties as: issuing checks; collecting membership dues; maintaining a complete and accurate accounting of all receipts, disbursements, and membership records; initiating and coordinating periodic mailings; contracting with the printers of the annual conference Proceedings and Membership Directory; maintaining copies of past conference proceedings and other Academy documents, and executing such other duties as are necessary. The Executive Committee shall authorize the reimbursement of the Executive Director's reasonable expenses incurred in the performance of Academy duties. A Director of Conference Services shall be selected by the Executive Committee to assist it in its work. The Director of Conference Services shall report to the Executive Committee. The Director shall, on instructions from the Executive Committee, be responsible for making hotel & other accommodations for the annual AAA conference, including: initiating and maintaining contacts with conference bureaus and hotel chains for purposes of arranging future conference sites; negotiating contracts with hotels & other service providers; negotiating promotional fees with conference exhibitors and advertisers; overseeing the conference registration desk; coordinating a variety of other activities associated with current and future conference events; and executing such other duties as are necessary. The Executive Committee shall authorize the reimbursement of the Director's reasonable expenses incurred in the performance of Academy duties. The nominating committee shall consist of the three immediate past presidents of the Academy with the current past president serving as chairperson. The nominating committee shall prepare a slate of officers to be presented to the Academy membership no later than 15 days before the election deadline. In addition to its nominations, the Committee shall also include on the ballot the names of any candidates nominated by not fewer than 10 members of the Academy and presented to the nominating committee no less than 90 days before the election deadline. All nominees shall be contacted by the nominating committee to confirm their willingness to be a candidate in the election. All nominees must be members of the Academy. Those elected are expected to attend both the regular Executive Committee meeting held at the conference and the mid-year Executive Committee meeting. The President-Elect automatically becomes President the following year. The President automatically becomes Past President the following year. The Past President, President, President-Elect, Vice President, and Secretary shall serve for terms of one year. The Treasurer shall serve for a term of two years. Voting shall be by e-mail ballot prior to the Annual Conference. The results of the election shall be announced in the first general communication to the membership following the election, whether a newsletter or some other general mailing or at the annual conference. Elected officers begin their term at the Annual Conference. The Academy's fiscal year shall be the regular calendar year starting January 1 and ending December 31. The Academy must have an independent existence to achieve its objectives. However, cooperation with other societies is desirable. But it must not lead to the submergence of the Academy in the activities of these societies. in the annual business meeting of the Academy, at the time of the annual convention, by two-thirds of the members present at the business meeting or having returned a mail ballot prior to the convention. Such votes shall be taken only if the membership has received an e-mail ballot at least 30 days before the convention, and has received prior notification of the vote at least two times in the Newsletter or other mailings to the membership, the first notification being at least three months prior to the annual convention. The results shall be determined and announced immediately by at least two members of the Executive Committee. Any 10 members of the Academy may by written request cause the Executive Committee to take a ballot on the proposed amendments. Voting shall be conducted under conditions that insure secrecy and accuracy. A report of the results shall be announced in the first general communication to the membership following the closing date for mail balloting or following a vote at the annual meeting. The conduct of the Academy's business shall be governed by the Bylaws. The provisions of the Bylaws may not conflict with the provisions of this Constitution, from which they derive their sanction. The standing committees of the Academy shall be the Executive Committee, the Program Committee, the Publications Committee, the Research Committee, the Finance Committee, the Membership Committee, the Nominating Committee, the Global and Multicultural Committee, and the Awards Committee. Other committees shall be appointed by the President and serve as required. The President-Elect shall appoint all committee chairpersons for the year in which he or she serves as President no later than December 1 of the year preceding the year in which he or she takes office. He or she shall appoint for that year all committee members on the recommendation of the chairperson of the particular committee and by general solicitation of Academy members. Members of standing committees shall serve for one year or until properly appointed successors have been named, except in the case of the Publications Committee, whose members serve for four years. The President may appoint with the advice of the Executive Committee such special committees as he or she may believe are necessary. Appointments shall expire with the completion of the specified assignment or at the end of the current year. All committees serve under the authority of, and their decisions must be approved by, the Executive Committee. The Executive Committee shall serve as the governing body of the Academy. All policies of the Academy must be approved by the Executive Committee. Any important questions of policy interpretation or application shall be submitted by the President to the Executive Committee for its recommendations. In case of extraordinary conditions, such as a national emergency, rendering one or more annual meetings impractical, the current Executive Committee is charged with the responsibility for maintenance and preservation of the Academy, its finances and records until a new set of officers has been elected and new committee chairpersons have been appointed. It shall be the duty of the Finance Committee to advise the officers of the Academy about the handling of funds and to conduct at least an annual review of the finances of the Academy each year, a report of which shall be furnished to the members of the annual meetings of the Academy. Members of the Finance Committee shall not currently be members of the Executive Committee and shall not have been members of the Executive Committee for at least three years. The Program Committee shall be responsible for planning, organizing, and staging the annual meeting of the Academy and such meetings as may be called by the President with the approval of the Executive Committee. The Program Committee shall secure papers and speakers and perform such other duties as may be required by its responsibility. The incoming President shall act as Program Committee Chairperson. The incoming President-Elect shall serve as coordinator of special topics for the conference. The incoming Vice President, as coordinator of the conference papers, is also the Conference Proceedings editor. If the Vice President declines to be Proceedings editor, the Publications Committee shall appoint the editor. The Director of Conference Services shall coordinate functions necessary to planning, organizing, and staging the annual conference in conjunction with the other members of the Program Committee. The Research Committee shall propose means to stimulate research in advertising and to encourage and improve the research efforts of Academy members. The Membership Committee shall promote membership in the Academy. The Publications Committee shall be responsible for the editorial and business operations of the Academy's publications. Specific duties of the Publications Committee include editorial policy and management, appointment of editorial and business staff, and the financial coordination of all publications. The Publications Committee shall consist of nine members, each appointed to serve a four-year term and in such a manner as to insure continuity within the Committee. One of the nine members shall be appointed chairperson by the President. When a vacancy occurs, the Publication Committee will prepare a slate of possible replacements that will include at least one more than the number of vacancies. Reduce the slate of names but leave enough candidates to fill vacancies. These candidates would thus be appointed by the President. Reduce the slate of names but leave more names than there are vacancies. The Committee would then decide, from among the reduced slate, who they would recommend for appointment. These candidates would then be appointed by the President. Reduce the slate of names to no less than the number of vacancies and add new candidates. The Committee would then decide, from among the revised slate, who they would recommend for appointment. These candidates would then be appointed by the President. Reject enough candidates on the slate of names so the list is less than the number of vacancies. Under this option, the President is required to prepare a written report detailing why each slated candidate was unsuitable. The report will guide the Committee in forming a new slate of candidates. The Global and Multicultural Committee shall promote and facilitate the Academy’s role as a leading forum for sharing knowledge about scholarship, education, and practice in international advertising. The chairpersons of all standing committees shall report to the President and shall render twice annually, prior to the Executive Committee meetings, a report of the activities and accomplishments of their committees. The Academy shall hold at least one business meeting each year at the national conference, called by the President and approved by the Executive Committee, with at least 30 days’ notice to members, unless prevented by a national emergency. Significant service contribution to advertising education at the college, university or professional level. Any member of the Academy may nominate another member. The nominating materials are sent to the AAA Nominating Committee. The Nominating Committee consists of the three most recent past Presidents of the Academy. To be considered, the materials must include specific evidence of the nominee’s outstanding achievements in the areas outlined above. The Nominating Committee reviews all nominations and determines whether a nomination will be forwarded to the membership for the decisive vote. This is not an annual award and there will be years when the Nominating Committee does not forward any candidates for a membership vote. In a year when an election for Fellow will be held, the Nominating Committee is restricted to forwarding a maximum of one name for the membership’s consideration. The Nominating Committee oversees the election. 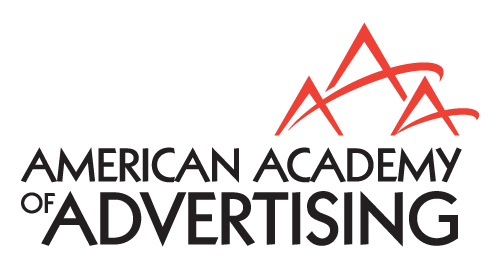 The designation of Fellow of the American Academy of Advertising shall be determined by a two-thirds majority of those voting in an authorized ballot sent to the membership of the Academy. The Distinguished Service Award is given by the Academy to individuals who have rendered distinguished service to the Academy and/or advertising education. One need not be a member of the Academy to be considered for this award. The Awards Committee shall forward to the Executive Committee its nominations for this and other awards. The Executive Committee shall approve or reject each nomination. The Executive Committee shall not consider any nominations except those coming from the Awards Committee. Any member may forward the names of candidates to the Awards Committee through the Chairman or any committee member. It is expected that the Distinguished Service Award will be given infrequently and only for truly distinguished service. Annual dues of the American Academy of Advertising shall be set by the majority vote of the Executive Committee. Only persons who have paid dues for the current fiscal year are members of the Academy. in the annual business meeting of the Academy, at the time of the annual convention, by two-thirds of the members present at the business meeting or having returned the mail ballot prior to the convention. Such votes shall be taken only if the membership has received an e-mail ballot at least 3 days before the convention, and has received prior notification of the vote at least two times in the Newsletter or other mailings to the membership, the first notification being at least three months prior to the annual convention. The results shall be determined and announced immediately by at least two members of the Executive Committee. Any 10 members of the Academy may by written request cause the Executive Committee to take a ballot on proposed amendments. Subject to applicable Utah law, the American Academy of Advertising, A Utah nonprofit corporation, shall indemnify and hold harmless each of its current and former Executive Committee members (also known as trustees under Utah corporate law) and officers, each member of any committee appointed directly or indirectly by the President or the Executive Committee or any committee chairperson, the Executive Director, its employees, and publication editors, or any person who may have served at the Academy's request as a trustee, director or officer of another organization or corporation, against any and all liability arising out of any acts or any failure to act of the Executive Committee members, officers, committee members, Executive Director, employees and publication editors, or arising out of their status as Executive Committee members, officers, committee members, Executive Director, employees, and publication editors, unless any such act or failure to act is a result of gross negligence or criminal intent. It is intended that the foregoing indemnification shall include indemnification against all costs and expenses including, by way or illustration but not of limitation, attorneys' fees and costs reasonably incurred in connection with the defense of any claim, action or proceeding, whether civil, criminal, administrative or other, in which any such Executive Committee member, officer, committee member, Executive Director, employee, or publication editor, may be involved by virtue of such person having the status of an Executive Committee member, officer, committee member, Executive Director, employee, or publication editor; provided, however, that such indemnity shall not be operative with respect to any matters to which such person shall have been finally adjudged in such action or proceeding to be liable for gross negligence or criminal intent in the performance of his/her duties.